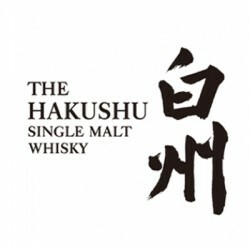 In the quest to create whisky completely different from Yamazaki, Suntory established Hakushu Distillery (a.k.a. “Mountain Forest Distillery”) with high-quality hardware and selected the site with clear underground water. 被喻為「森林中的蒸餾廠」，白州蒸餾所隱身於日本南阿爾卑斯山下的樹林當中。於 1973 年建廠， Suntory 集團銳意要把白州打造成與山崎不同的蒸餾廠，而優質的水源及設備使白州蒸餾所釀造出別樹一格的..
Hakushu 12 Year Old 1997 10th Whiskylive Japan Cask BJ41521..
Hakushu 1992 The Owners Cask 19 Year Old Cask 2B40276..
Hakushu 2015 Whisky Shop W. WSO-008..
山崎 Yamazaki The Premium Soda x 1白州 Haukushu NAS x 1松徳硝子 Shotoku Glass Usuhari Tumbler L Set with woo..
Hakushu 2014 Sherry Cask 180ML..
白州 Hakushu 1985-2004 Vintage Malt..